The EU-funded MAMEM project (Multimedia Authoring and Management using your Eyes and Mind) aims to propose a framework for natural interaction with multimedia information for users who lack fine motor skills. As part of this project, the authors have developed a gaze-based control paradigm. 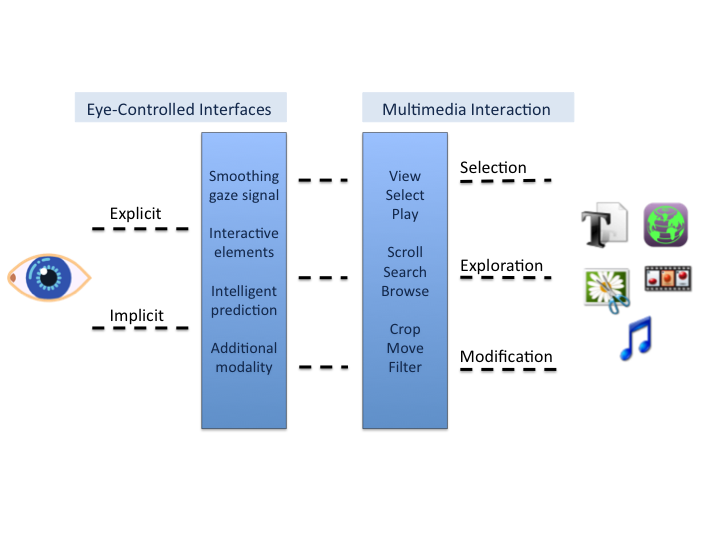 Here, they outline the challenges of eye-controlled interaction with multimedia information and present initial project results. Their objective is to investigate how eye-based interaction techniques can be made precise and fast enough to let disabled people easily interact with multimedia information.